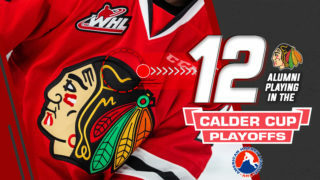 With four straight wins against the Thunderbirds, the Winterhawks head to Seattle to begin the three-in-three weekend. It should make for a hockey-inspired weekend with snow in the forecast all weekend long in the Pacific Northwest. For those who are planning on making the trip north for the weekend games, please drive safely. PREVIOUS GAME – Winterhawks 3 at Tri-City 5: The Winterhawks allowed five goals in the third period as the Americans beat them 5-3 in Kennewick, Washington. The majority of the Hawks offense came in the opening period when they scored twice in a 4:37 window to take a 2-0 advantage. After the goaltenders stole the show in the second period, Tri-City broke through offensively in the third. With Parker AuCoin scoring 37 seconds into the third period, the Americans cut the Hawks’ lead in half and stole momentum. They went on to score four unanswered goals to jump to a 4-2 lead before Jared Freadrich scored his ninth of the season on a one-time slap shot from the blue line to keep things interesting in the closing minutes. Tri-City scored on the Hawks empty net to earn their sixth win against Portland this season. With a couple days of practice coming up, the Winterhawks prepare for road game in Seattle on Friday and Everett on Saturday. 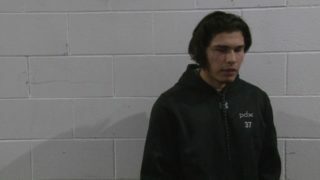 Jaydon Dureau scored the first goal of the night, his first since the Hawks and Americans last played on January 23. Haydn Delorme took a season-high three shots on goal in the first period of play alone and has three points in his last two games. Josh Paterson increased the team’s lead in the first period, giving him three goals on the year against Tri-City. Joel Hofer made a pair of breakaway stops while the Hawks were on the power to keep the Americans off the board through 40 minutes. 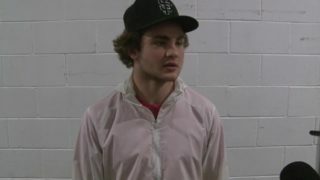 He robbed a 100-foot breakaway from Parker AuCoin in the first period and an approximate 70-foot shorthanded breakaway from Connor Bouchard in the second. Hofer had 22 saves through two periods of play. Connor Bouchard grabbed three points alone in the third period (2G-A) to secure the first star honors. It was his first three-point night of the year. The Hawks are now 23-1-1-1 on the season when leading after two periods of play. Seattle has played .500 hockey lately, but they have lost three of their last four home games. 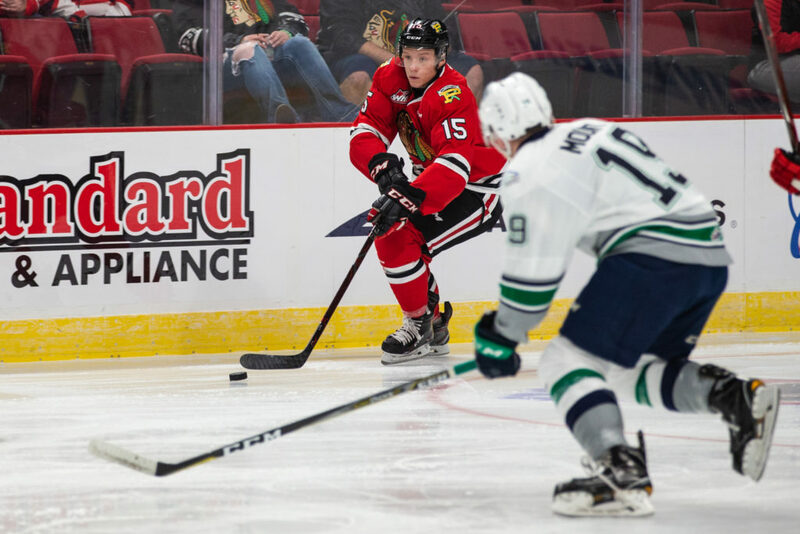 The Thunderbirds have not beaten the Winterhawks since mid-November. After both team captains suffered injuries in the last head-to-head meeting, neither are expected to play on Friday night. Cody Glass has resumed skating activities with his team, but there is still no timetable for his return. Both the Hawks and the T-Birds have found a way to win without their leaders in the lineup. Reece Newkirk and Jake Gricius are each a few points away from 50 on the season and nine players already have double digit goal totals this year. No team in the Western Conference has at least four players with 50+ points. Josh Paterson has also performed well with eight points in his first 11 games with the club. On Seattle’s side, Matthew Wedman has elevated his play with 11 goals and five assists in his last ten games. Ever since the trade with Medicine Hat, Henrik Rybinski is nearly a point-per-game player for the Thunderbirds. 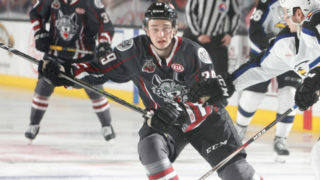 Defensively, Jarret Tyszka leads the way with five assists in just three games against Portland. Import player Andrej Kukuca is putting together a nice second half of the season and he leads the way with four goals already in February. Keep in mind, there are seven players that began the season with Seattle and are no longer with the club (largely due to trades). That’s nearly one-third of the roster. 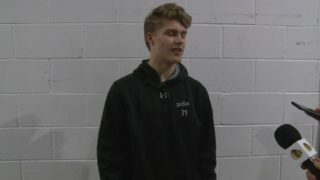 The Winterhawks have yet to face January Rookie of the Month Roddy Ross, but he has won seven of his 12 appearances in the WHL with an impressive 2.74 goals against average to help position the Thunderbirds for a run. Shane Farkas has eight career wins against Seattle and Joel Hofer drew the last start in net against the Thunderbirds taking a shutout performance to the final 20 seconds of the game. After a pair of road games, the Hawks return home on Sunday, February 10 for a game against the Medicine Hat Tigers at 5:00 p.m. inside the Moda Center. It’s also the first annual Hockey Challenge Day presented by Budweiser. The event is dedicated to raising money for the Ronald McDonald House Charities of Oregon and Southwest Washington. 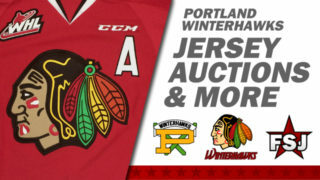 Learn more about the event at winterhawks.com/hockeychallenge and be sure to visit winterhawks.com/tickets for full details on pricing and availability for Sunday’s game.